Before I make my comments about the Catholic Church and Catholics let me insert a disclaimer. I am not Catholic, nor is anyone in my family. I am not well versed in the liturgy or the fundamentals of Catholicism. My experience and opinions about Catholicism rise largely from my association with Catholic friends from all over the world. When I was a young kid growing up in the 50’s and 60’s there was a lot of bad blood between Christians of all religions. The Baptists didn’t like the Presbyterians, the Lutherans didn’t much care for the Methodists, and Protestants of all stripes had nothing nice to say about the Catholics. I think that most of that foolishness has been buried along with those who espoused those views but that’s the way it was. When I was a young man growing up as a “Jack Mormon” I attended early worship at 9:40 am every Sunday. This was followed by Sunday school at 10am and the main church service which lasted until around noon. If that wasn’t enough every Wednesday night my Father and I attended prayer meeting. With a mindset of “the less religion the better” I envied my Catholic friends who could get away with logging in only one hour a week. Later they were able attend church on Saturday evening instead of Sunday morning which I considered the ultimate religious perk! Not so for Catholics. Call it guilt or habit or just blind obedience they SHOW UP for mass. 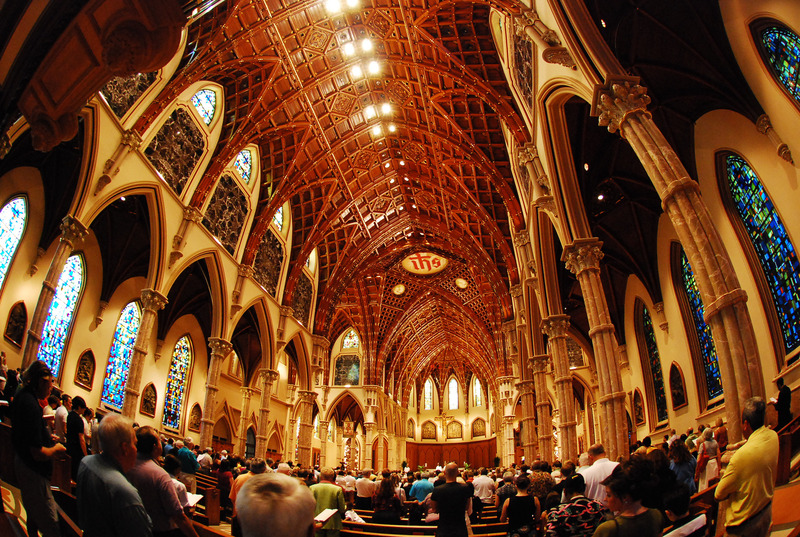 While attending Holy Name Cathedral in downtown Chicago today I saw Catholics of many races kneeling and praying shoulder to shoulder in common pews. Unlike many Protestant churches sparsely filled with old people these Catholic churches have within them many children as well as people in their teens, twenties, thirties and forties. Young parents sit in the pews with well-behaved children dressed in their best clothes. Some parishioners wear nice dresses, some wear suits and ties and some come in blue jeans. And testing the true mercy of the Lord our God, one guy even wears a Chicago Bears football jersey! These are diverse people but they are one in their Catholicism. No matter how any outsider wishes to judge their religious dedication I say one thing is for sure; these Catholics take at least a minimum of one hour a week to pray, to listen to God’s word, to reflect and to be reminded of who created them and what he wants them to do. In what is becoming an increasingly crappy world where people are setting themselves above their creator and floating far beyond the solid moorings that have served humanity for thousands of years, these Catholics are humbly keeping the faith. I admire them. Once in a while I snap a photo that looks really, really good. I’m going to share two of them with you today. Both of these photos were shot with a Samsung Galaxy Note 3 or 4 cell phone, although I’m sure that most smart phones have good cameras these days. I’ve got a digital camera around here somewhere, but it is irrelevant now that my phone has a superior camera. Besides, when that “photo opp” moment comes, your phone is in your pocket while your camera is usually in a drawer at home. The first photo was taken on March 7, 2015 near Witoka, Minnesota at sunrise. It was one of those “pull over, get out of the car” photos. It is a reminder that every day we are given the gift of a cloud formation, a sunrise or a sunset so unique that it has never appeared that way before, nor will it ever appear that way again. The only proper response to such beauty is gratefulness. The second photo was taken this month at Wrigley Field. The sun is shadowing the crowd but the field of play is in bright sunlight. It looks like a photo that was altered to look like a painting but it is straight from the camera. Those who have attended ball games at Wrigley will note that the two new “jumbotrons” are now installed, part of a 5 year renovation program. The historic scoreboard above center field will not be altered and is as iconic to Wrigley Field as its ivy-covered brick outfield walls. I’m no photographer. I’m sure that anyone who has taken a photography 101 course in college could find plenty wrong with both of my photos. It’s just the law of averages that one out of 500 photos will be a good one. I hope you enjoyed them; that’s good enough for me! On the weekend of July 18th I attended two baseball games at Atlanta’s Turner Field, home of the national league Atlanta Braves. I enjoyed the baseball experience, but as is often the case every story has a byline. In this case it is the upcoming demise of Turner Field itself, first built as an Olympic stadium in 1996 before opening as the home of the Braves in 1997. Designed by Minnesota based Ellerbe Becket, famous for numerous sports facilities throughout the world, Turner Field is a beautiful place. Approaching just its 20th year it is a viable, well-constructed venue near downtown Atlanta. Promises of politicians to revitalize the low income neighborhood around the field have been broken for years. Nevertheless Turner field is a safe and popular stadium very close to most of Atlanta’s urban residents. Urban Food Vendors outside Turner Field. 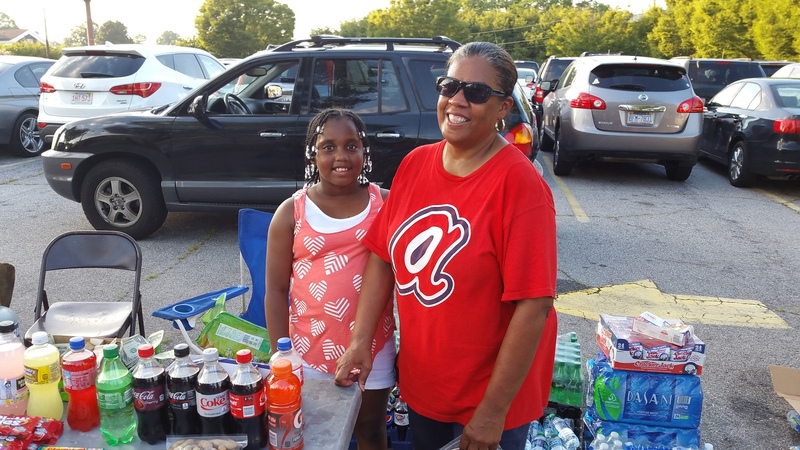 In the shadow of Turner field a friendly, well-spoken woman sells iced water, soft drinks, and snacks to baseball fans who walk by her table. She’s done this for 15 years and today has the assistance of her granddaughter. 81 times a year she gets this opportunity to make some needed extra income. She’s not the only one. The Braves need parking lot attendants, food vendors, security people, janitorial staff and many other people to hold a major league baseball game. Many of these people have low incomes and live in the neighborhood surrounding Turner Field. Most are people of color. All of these workers are thankful that this part time income can be earned right in their neighborhood. All of this will end within two years as the Braves and Suburban Cobb County officials have conspired to abandon sturdy, reliable and still modern Turner Field to build a brand new park in the Atlanta Suburbs. This was done without a single public hearing and without any vote of the people. The Turner Field vendors and employees living near downtown Atlanta will not have convenient public transportation to work at the new stadium. Urban jobs will be lost and essential income will vanish for those in the Turner Field neighborhood. Societal resources will be squandered on a massive scale as hundreds of millions of dollars will be spent to construct new highway infrastructure and build a new ballpark in the suburbs, miles away from the fan base of the Atlanta Braves. Ironically this entire boondoggle might end up doing in the Braves. 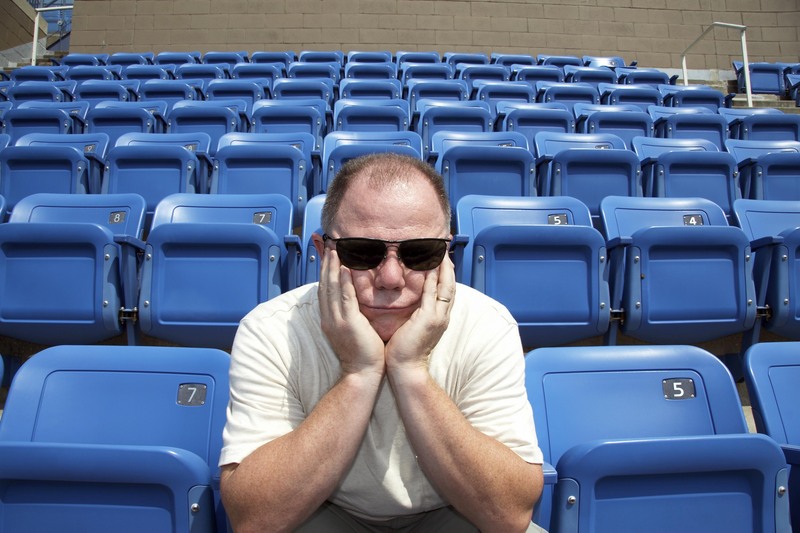 Attendance is already down 4,200 people per game this year. Will 40,000 fans want to hop in their cars and fight miles of snarling traffic to see the Braves play in a new ballpark in the burbs or will they decide instead to spend their entertainment dollars elsewhere? I predict an initial “attendance bounce” in the first year or two that the new park is in business. Ultimately though unless the Braves can put together a team with the dominance they demonstrated in the nineties, Atlantans may well remember the “good old days” before both their Braves and Turner Field suffered a premature death. A few months ago I found out that Rotary International was going to hold their annual convention in the city of Sao Paulo, Brasil. Because I had never been to South America I decided to take an eleven day trip to Brasil. Brasil is a good country that merits a return trip. The first four days were spent in Rio De Janeiro with its famous Copacabana and Ipanema beaches. The last four days were spent in South America’s largest city, Sao Paulo. Here are some “Don Factoids” you might want to know if you consider a trip to Brasil. Portuguese (not Spanish) is the language of Brasil and few people speak English, so be prepared to struggle a bit when asking directions. Brasilians are friendly and helpful. Even if they can’t answer your question they will give you an apologetic and sincere smile. Brasilians are very gracious. Clean, potable water. You can drink the tap water, even from public drinking fountains and not get sick. Soccer Fanatics: The recent 7-1 loss to Germany in the world cup is viewed as a national disgrace to be hauntingly remembered and regretted for decades to come. Litter free: The streets have refuse containers every 500 feet and Brasilians use them. The street department comes by every night around 8pm to collect the trash. Unlike India, Brasil’s female trash collectors wear makeup. Affordable: Dining and lodging in Brasil are very affordable. You can get a good, white tablecloth meal consisting of various meats or other fare for around $17 per person. Hotels are modern and less expensive than comparable accommodations in the USA. The Fruit…THE FRUIT! You’ve never tasted anything like the fruit in Brasil. It is so fresh that it attacks your taste buds. When you go in for a mango shake they will squeeze it as you watch. Brasil has varieties of fruit that we don’t have in the USA. Comfortable in their Own Skin: Brasilians are not ashamed to walk on the beach in a skimpy swimsuit no matter how old, fat or unsightly they are! There seems to be no vanity on the beach; Brasilians want to enjoy the beach and that’s that. Brasilians might collectively be the best looking people on the planet. I don’t know why, but after a few days of looking at “average” men and women, regardless of age, Brasilians fare very well. Think about it; when was the last time Miss Brasil didn’t finish in the top 5 of the Miss Universe pageant? Young men have short haircuts and almost never have facial hair. They are handsome and “clean cut”. No Jetlag: While It is 5400 miles (a Ten Hour flight) from Chicago to Rio. There’s only two hours time difference. You won’t get jet lagged. If you are an international traveler it is my opinion that you should consider a trip to Brasil. You might want to avoid the Olympic congestion in 2016 but otherwise, I think Brasil is a safe, tasty, and beautiful bet. This blog is written in Minnesota, one of the northern tier of states. Up here winter lasts 5 months at a minimum. I don’t mind winter. The first snowfall is beautiful. The air is crisp and if you dress for it, put the right show tires on it, purchase the right snow blower for it, and have a positive attitude about it, winter is a great season for three months. It’s the last two months that sap your spirit. Inevitably, by the time you’re in the 5th month of winter the best thing about it is that it finally ENDS! Those in southern climes can’t imagine how excited we are to see spring. But wait; we have no spring, at least as it is in places like Arkansas, the Carolina’s or Oklahoma. The 4th and 5th months of Winter take away our spring and we catapult almost immediately into summer. Furnace one day and air conditioning the next; that’s our Minnesota. So, if there is no spring what are the Northerner’s harbingers of hope? Our trilogy of winter’s demise is Openers, Madness, and the Masters. This week is the culmination of collegiate basketball’s “March Madness”, the start of the Master’s Golf Tournament in Augusta, GA and the home opener of most teams in Major League Baseball. All three in one week! I’m giddy. Good riddance winter. There are millions of college basketball fans in this country and when 64 teams play in a single elimination tournament over three weeks, almost anything can happen and it usually does. 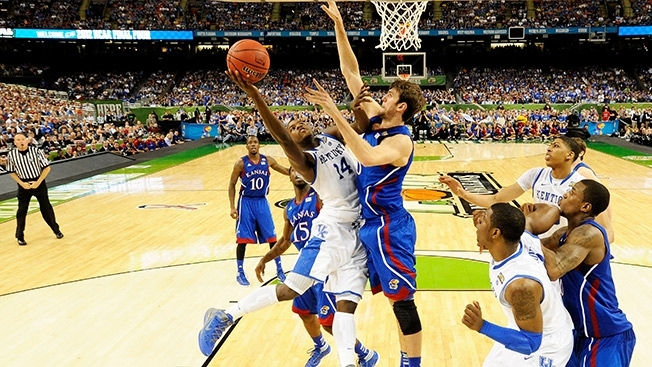 Over 75 million people, a fifth of the US population has filled out a “bracket” for this tournament. Only 4 teams remain and we will have a national champion before the week is over. For golfers the Masters Golf Tournament, held at the Augusta National Golf Club, in Augusta, Georgia is THE classic sporting event to usher in the professional golf season. The first of 4 major golf tournaments, this week the 79th annual Masters Tournament gets underway in a place where REAL spring exists. Go for it, golfers! On those thousands of golf courses around the land, take a deep breath, smell the grass, polish up those clubs and get ready for a great year. The final predictor of winter’s demise is imbedded in the home openers of all teams in Major League Baseball. 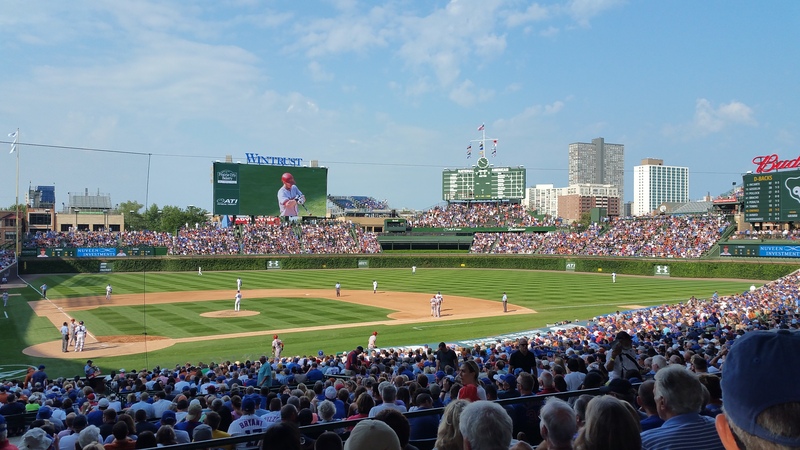 The rejuvenated Chicago Cubs open at historic Wrigley Field against the St. Louis Cardinals on Sunday night, April 5th where they will honor recently departed “Mr. 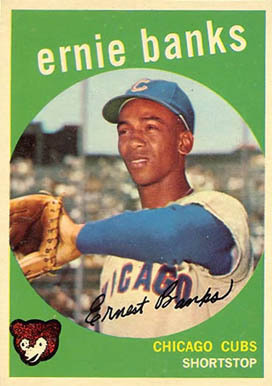 Cub”, Ernie Banks. The next day the Yanks open against the Blue Jays in the Bronx, while the Brewers open at Miller Park against the Rockies. Our Minnesota Twins open April 13th at Target Field against the Royals. On the first of 182 games, all games are sellouts and every team is in first place. What a blast! I can’t wait to buy my first bag of peanuts from Paul White on the corner of Addison and Clark streets. My friends, it is now time to put aside all of your trials and troubles and enjoy the end of winter. The joy of boating, golfing, swimming, gardening, and sipping basil lemonade under the outdoor canopy beckons us all. 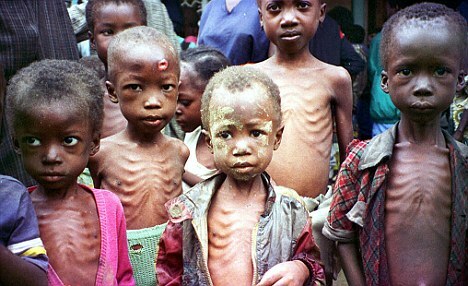 About 3 billion of the world’s 7 billion people struggle to survive, living on less than $1 per day. When these Third World people have problems their very lives are at stake, but we in the “First World” have difficulties also. Here are some of our first world problems. Can’t this restaurant serve a warm egg? It’s inhumane to raise turkeys in a building; they should be free range. I need more time to shop! I’ve got all of this stuff so why am I unhappy?